A fabric fire pit cover is designed to protect the top and sides of a fire pit from the elements when the fire pit is not in use or for storage. A different type of fire pit cover is a metal cover that covers only the top of the fire pit. Its main purpose is to snuff out the fire safely. furthermore, it also protects the top of the fire pit when it is not in use. You can use both types of fire pit covers simultaneously; snuff out the fire with the metal cover and then protect the fire pit with a fabric cover. 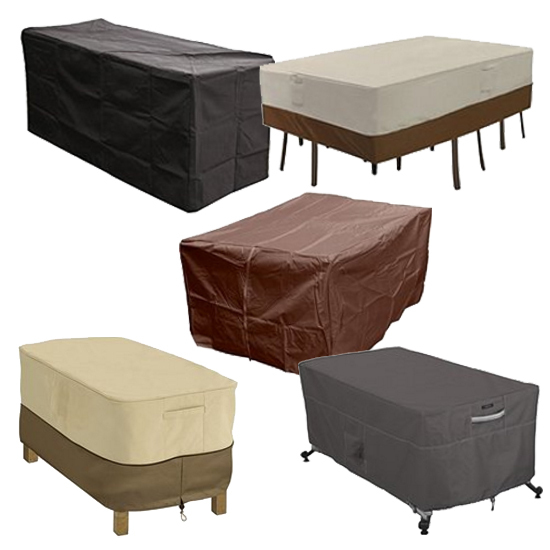 You can find a fabric storage cover for almost every fire pit! 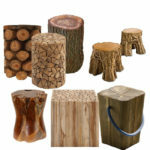 The most common styles are for covering round fire pits and square fire pits. 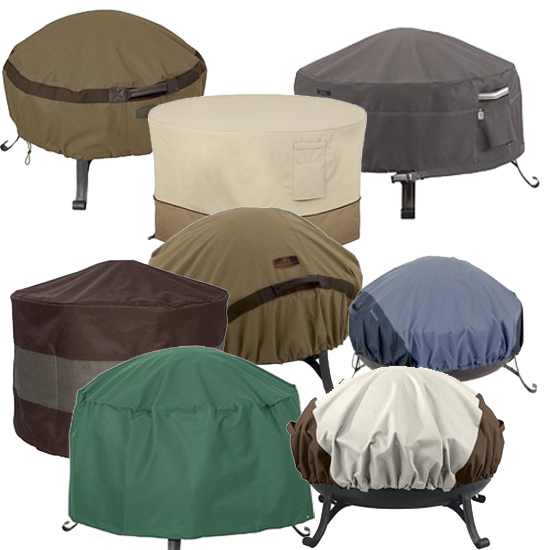 Fabric Covers for Round Fire Pits are available in a variety of style, colors and sizes. To select a fabric fire pit cover for a round fire pit, measure the diameter and height of your fire pit. Round pit fire pit covers can also be used with octagonal fire pits. Fabric covers for fire pits 30 inches in diameter. Fabric covers for fire pits 36 inches in diameter. Fabric covers for fire pits 40 inches in diameter. Fabric covers for fire pits 42 inches in diameter. Fabric covers for fire pits 44 inches in diameter. Fabric covers for fire pits 48 inches in diameter. Fabric covers for fire pits 50 inches in diameter. Fabric covers for fire pits 60 inches in diameter. Fabric covers for fire pits 80 inches in diameter. 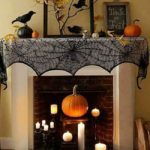 Consider whether or not your square fire pit needs a cover that accounts for a fire screen that is elevated at the center or whether you need one for a flat-topped, square fire pit. Measure one side of a square fire pit to find a fabric fire pit cover that fits. Fabric covers for 18 inch square fire pits. Fabric covers for 24 inch square fire pits. Fabric covers for 30 inch square fire pits. Fabric covers for 32 inch square fire pits. Fabric covers for 36 inch square fire pits. Fabric covers for 38 inch square fire pits. Fabric covers for 39 inch square fire pits. Fabric covers for 40 inch square fire pits. Fabric covers for 42 inch square fire pits. Fabric covers for 44 inch square fire pits. Fabric covers for 45 inch square fire pits. Fabric covers for 48 inch square fire pits. Fabric covers for 50 inch square fire pits. Fabric covers for 52 inch square fire pits. Fabric covers for 60 inch square fire pits. A less common fire pit shape is the rectangular fire pit. Fabric covers are, nevertheless, also available for them. 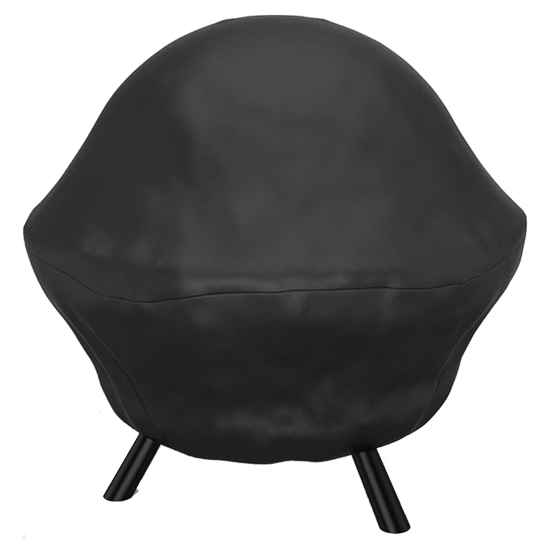 Fabric covers for fire balls and spherical fire pits can be hard to find, but they do exist! Materials: Most fire pit fabric covers are polyester, polypropylene, or reinforced or lined vinyl. Protection from the Elements: The best fabric covers provide both UV protection from the sun and protection from water, whether rain or snow. When water gets into any ashes that may remain in the fire pit, an acidic mixture is formed that will quickly rust out metal fire pits. Consider whether you want a fire pit cover that is water-resistant, water-repellent, or waterproof. Air Vents: Moisture can build up within a fabric fire pit cover. Selecting a cover with well designed air vents (ones that allow moisture to escape but nevertheless keep water from entering) is important. 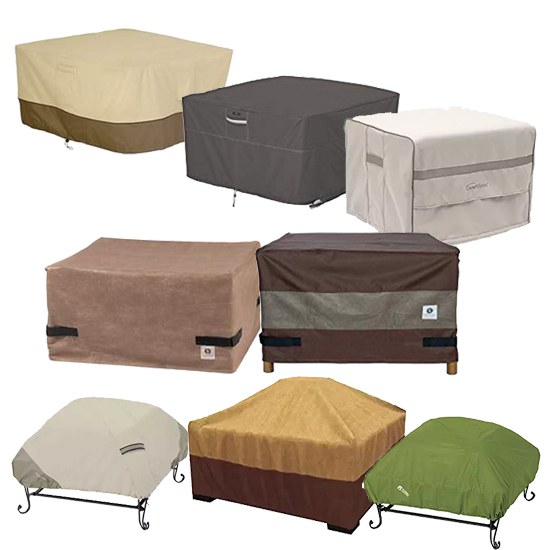 Closures: Most fabric fire pit covers have closures that secure the cover onto the fire pit or table. These prevent wind from lifting the covering off the fire pit. Closures include Velcro, elastic, drawstrings with toggles, straps, click-close buckles and zippers. Fire pit covers that drape over the fire pit without closures, such as tarps, are less satisfactory. 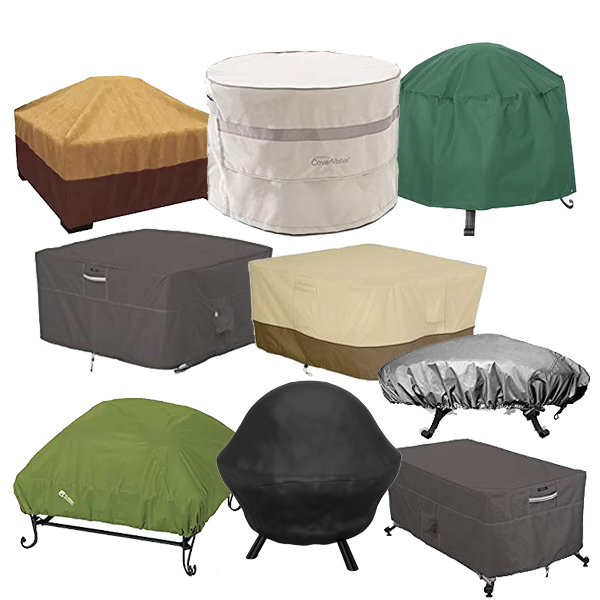 Colors: Fire pit covers come in shades of beige, browns, black, gray and green. Consider whether you want your fire pit, when it is “off duty”, to blend into or stand out from its surroundings. If you have covers for surrounding outdoor furniture, you will probably want to stay with their hues. Warranty: The least expensive fire pit covers have no warranty. Some have 1 to 3 year warranties. A few brands, such as Classic Accessories, have lifetime warranties. Storage: Finally, when you are using your fire pit, you need a place to store your fabric fire pit cover. We suggest using a patio storage container that doubles as setting. 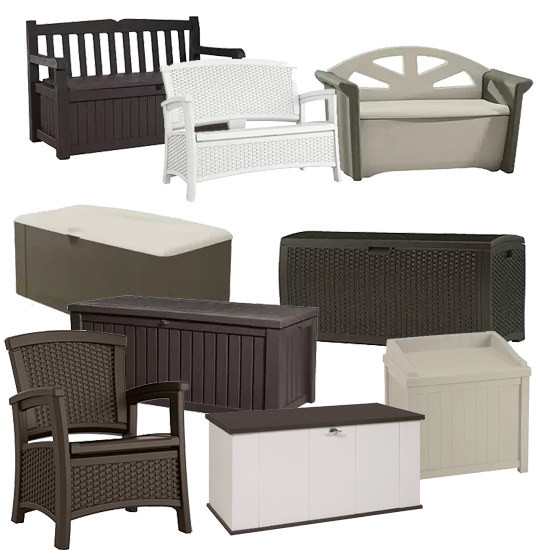 When not in use, store your fabric fire pit cover in outdoor seating/storage furniture.